By any measure, the story of the Scottish National Party is an extraordinary one. Forced to endure decades of electoral irrelevance since its creation in the 1930s, during which it often found itself grappling with internal debate on strategy, and rebellion from within its own ranks, the SNP virtually swept the board in the 2015 general election, winning all but three of Scotland’s fifty-nine seats in Westminster. What’s more, under the current leadership of Nicola Sturgeon, the SNP has never been a more important force in the landscape of British politics. The leaders who have stood at its helm during this tumultuous eighty-year history – from Sir Alexander MacEwen to Nicola Sturgeon and Alex Salmond – have steered the SNP vessel with varying degrees of success, but there is no doubt that all have contributed to the shape, purpose and ultimate goal of the party of government we see today. 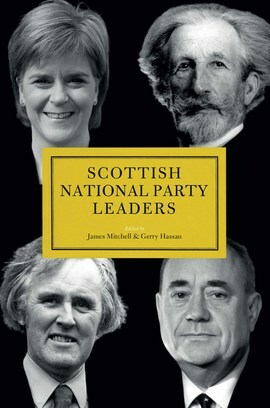 The latest addition to the acclaimed British Political Leaders series, Scottish National Party Leaders examines each of these senior figures for the first time, and is essential reading for anyone curious about how this former fringe party evolved into a political phenomenon, changing not only the face of Scottish politics, but British politics as well.